How many sheets do you need to punch through per lift? How many cycles per minute do you need to achieve to be cost effective? Which type of binding system do you prefer to use? Coils? Wire? Combs? How many bound pieces will you be creating in a week? Here at Lloyd’s of Indiana, we have more than 25 years’ experience in advising companies on the type of binding equipment they need to maximize their efficiency and keep their costs low. 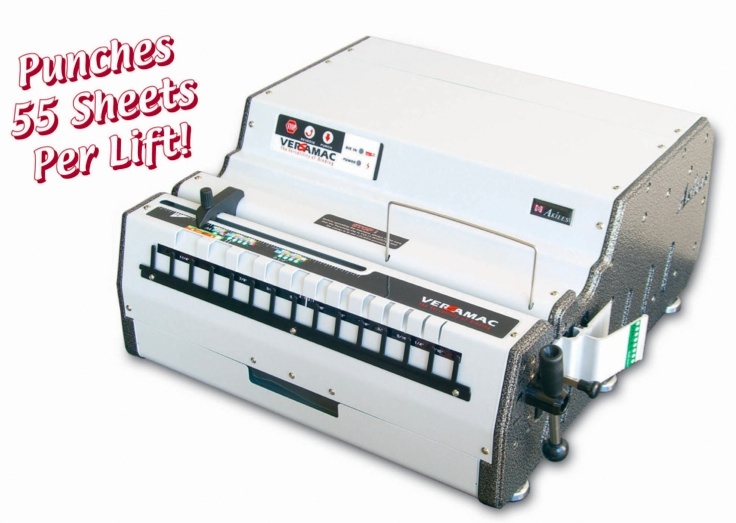 If you need your commercial-grade binding machine to bind with four different methods, the VersaMac offers that feature with its interchangeable dies. This piece of equipment punches 55 sheets per lift and is robust enough to handle 500 books per week for 7 years at 30 cycles per minute. 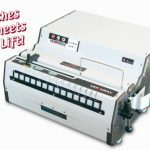 The learning curve on this particular binding machine is short, so your personnel will be up and running in no time, increasing your productivity and sales of binding projects. 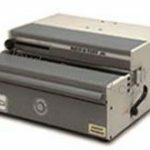 If you require a machine that can bind thousands of books per week, the user-friendly Rhin-O-Tuff is our heaviest Table Top Punch commercial machine with no equal. It handles 90 cycles per minute. Again, it offers the capability of the patented Quick Change Die System, so you have the flexibility to bind your books as needed for each unique binding situation. The Rhin-O-Tuff comes with one standard die, but 20 interchangeable dies are available at a discount with the machine purchase. Also, you will have your choice of 12 standard hole patterns. Again, the Rhin-O-Tuff can punch 55 sheets per lift, or 110 pages of 11”, 20 lb. or 80gsm bond paper. This machine can handle odd-sized paper, no problem. The patented Anti-Jam Feature detects punch overload. Combine that with the build-in Automatic and Manual Reverse, and you’re saved from costly downtime and service calls due to overload jams. Call Lloyd’s of Indiana today–we’ll be happy to go over your options in binding equipment with you. We’re at 1-877-626-6848.